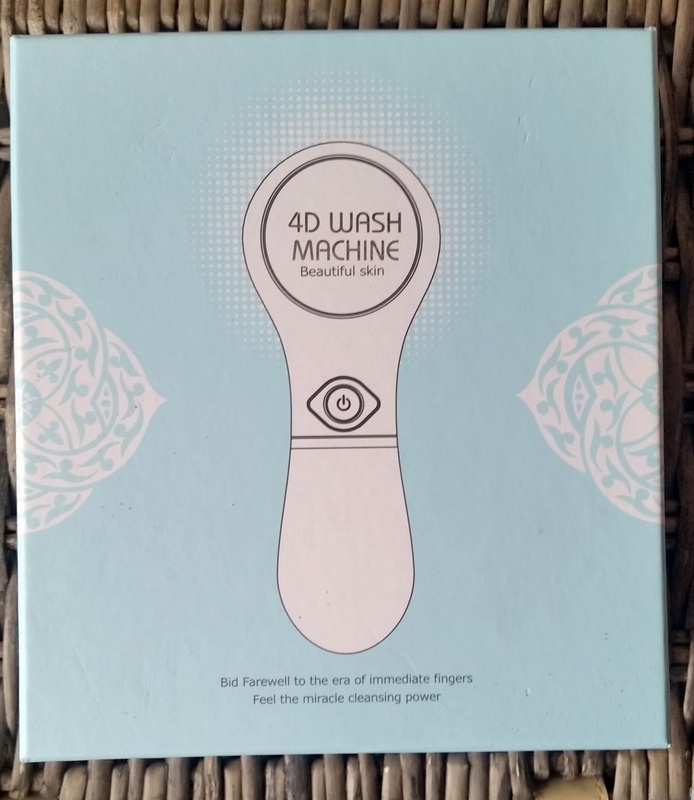 The 4D HailiCare facial brush arrives lovely in a box that keeps the brush safe with all its attachments. In the box is the brush, brush stand, a brush head and a puff head. The two brush heads also have a transparent head that covers the heads, when not in use, to keep the brush heads clean and safe. The brush requires two AAA batteries that are not included and to insert these, you twist the handle off anti-clockwise and the battery compartment is revealed. You twist the handle back on which does go back on tightly and securely making this device WATERPROOF so you can use in the shower. The heads snap on and off the brush and are really easy to remove and put back on the brush itself. The power button which is silver and in the middle of the device pushes in and stays in when using the facial cleansing brush and to turn off, you press the power button again and the button is pushed out, turning the device off. The brush is really gentle but effective and is so soft to use. You have to wet the brush head first before use and you can either apply your cleanser to the brush head or your face, both ways are effective in cleansing the skin. When i have finished using the brush, i rinse under the tap and gently dry with a towel removing excess water from the brush. I then apply the transparent shield to protect the brush head till the next time i use it. The puff head is very soft and spongy exactly like a high quality make-up sponge. You can use this to achieve a natural make-up look as it smooths and absorbs any make-up, great if you have applied too much! I use this brush when i have slathered on lots of moisturiser for a night time skin treat and i find that my skin absorbs the moisturiser a lot better when I'm doing this. To clean the brush i run under the tap, dry with a towel gently and its good to go for the next time i use it. This brush boasts of 4D three-dimensional movements where the brush head moves from left to right at a 15 degree angle and also the brush head vibrates up and down. This combination will leave your skin better cleansed and protected. The brush and its heads are great for effective cleansing of your skin and more importantly this brush is quite gentle but with effective results. It is also really easy to change the heads and to keep all its attachments clean. The holder is another great addition for when u have finished with the brush and it doesn't take up much room for when u want to store it in the bathroom or your bedroom, for its next use. I'm a novice to the whole facial cleansing using a brush and there are a lot of different brushes available, but for now i'm enjoying using this brush and so is my skin. X Neil.